Jornet reached the summit via the North Face of Everest on 27th May at 9pm (+5.45GMT). He left Advanced Base Camp at 6500m. He climbed to the summit on the ‘normal’ route passing the three high altitude camps used by climbers attempting the world’s highest mountain, a climb which takes on average four days. The climb to the summit was slow but continuous. The wind was the main obstacle Jornet had to overcome, on an extremely windy Himalayan day. Weather conditions improved throughout the night in the latter part of the route and he returned to Advanced Base Camp 29 hours 30 minutes after leaving. With this ascent Jornet repeats the feat of reaching the world’s highest point after having climbed to the summit six days previously. 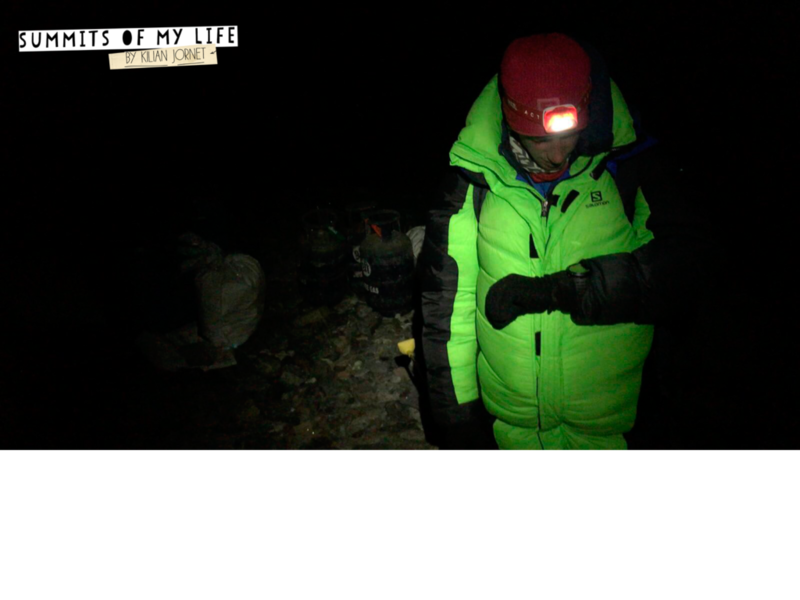 On the previous climb he reached the summit in 26 hours, leaving from Base Camp at Rongbuk monastery at 5100m. The climb had begun well but he was hampered by stomach problems from 7500m, which slowed him down considerably and forced him to make repeated stops. Returning to Base Camp Jornet explained that: I didn’t feel great and was moving very slowly. I had to stop every few metres with cramps and vomiting. But I felt ok with the altitude and decided to continue. When I got back down I thought I would like to try another attempt if I felt well enough. The two ascents are part of the Summits of My Life project, in which Jornet has travelled to some of the most emblematic mountains across the globe setting records for fastest known ascents. He began in the Mont Blanc range in 2012 and has since climbed in Europe (Mont Blanc & Matterhorn), in North America (Denali) and in South America (Aconcagua). 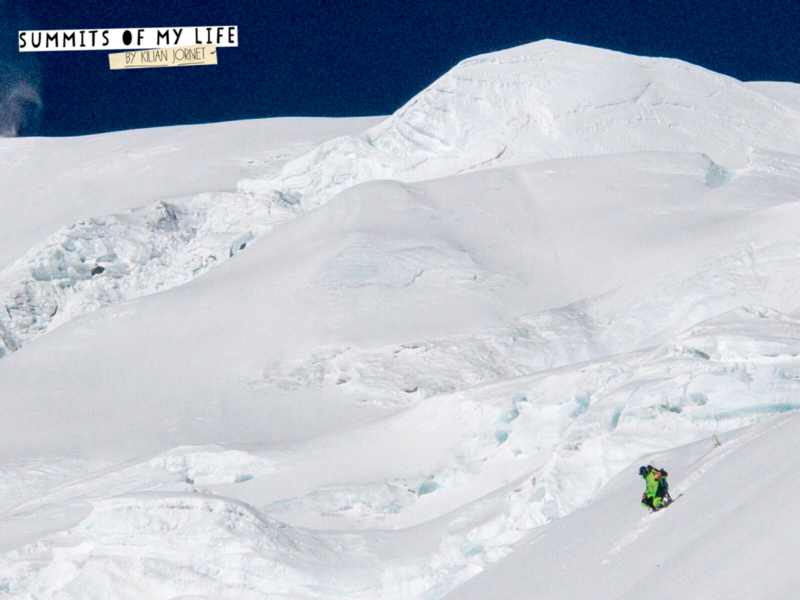 Jornet has been accompanied on this Everest expedition by Sébastien Montaz-Rosset, mountain guide and cameraman. Jornet is currently resting in Everest Base Camp before returning to Europe.